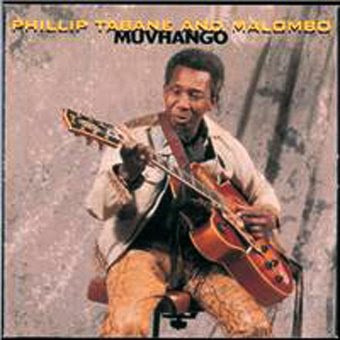 Philip Tabane is the founder of the group Malombo, a Venda word for spirit. 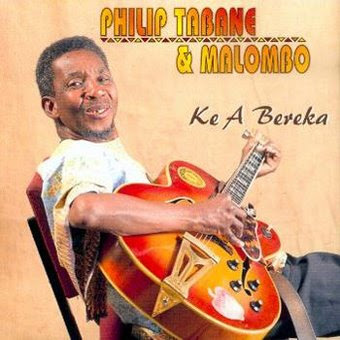 Today he is known as Dr Malombo and whilst the group has been through many iterations over the past 45 years they are still performing and astounding audiences worldwide. 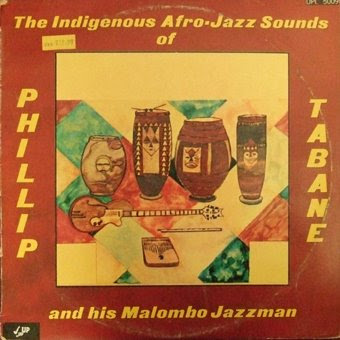 My introduction to Malombo was at University in 1982 when a friend passed on a dubbed cassette copy of The Indigenous Afro-Jazz Sounds of Philip Tabane and his Malombo Jazzman. 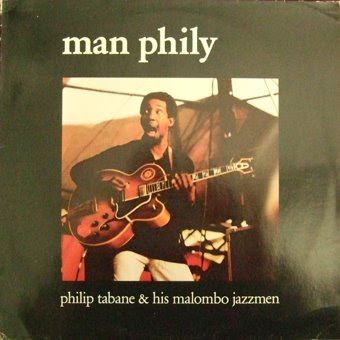 Later I saw him play at the Rainbow Jazz Club in Durban and at the Market Theatre in Johannesburg. 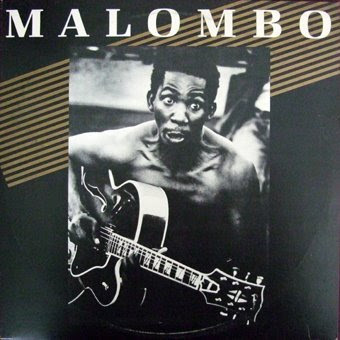 In 1984 I worked in a team to put on a series of concerts by Malombo under the auspices of the United Democratic Front - a non-racial coalition of about 400 civic, church, students', workers' and other organisations. We organised three concerts including one at the University's Old Main Hall from where the live recording being shared today comes from. 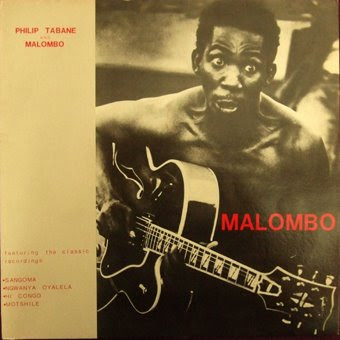 For a long time I've lamented the fact that the Malombo back catalogue has fallen into disarray. Currently only five from a total of 13 releases are commercially in print. 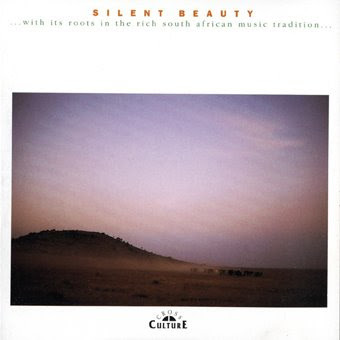 And of these five there is one obscure release - SIlent Beauty - not even credited to Phiip Tabane or Malombo. 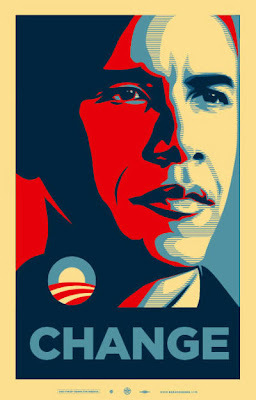 So for the record I've compiled the following comprehensive (let me know!) 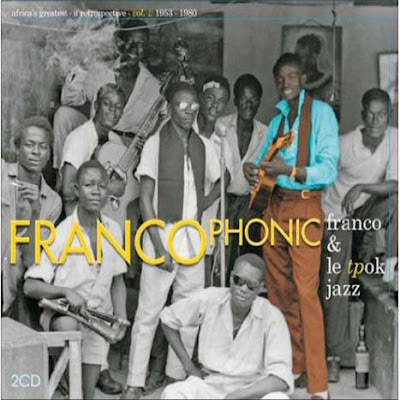 discography with a plea to the owners to make the recordings available once more. 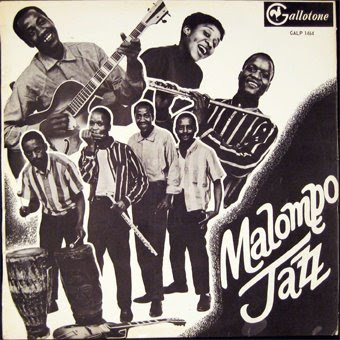 For a whole lot more background and some interesting anecdotes head over to David Marks' 3rd Ear Website for an insight into the Malombo genre. No cover and warped to the limits of playability this 1978 curiosity probably hasn't seen a turntable for the last 30 years. 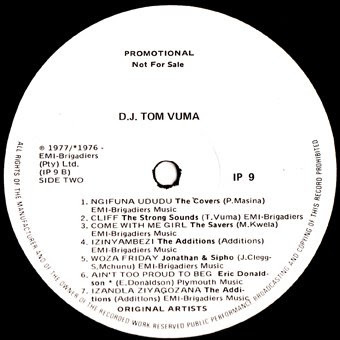 Amidst the pleas from DJ Tom Vuma to sell more records (and remember the catelogue number) we also get very best wishes for Christmas. 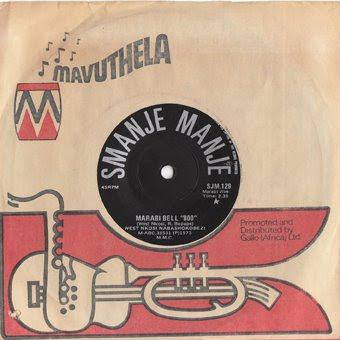 Its an interesting view into the music EMI Brigadiers in South Africa was trying to shift in the late seventies through predominantly black music distribution channels. 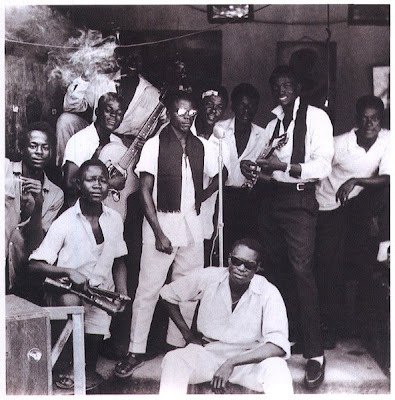 The mix of jazz, fusion, jive, reggae and soul and high local content is enlightening. 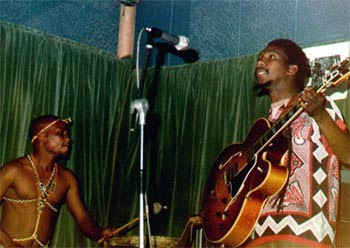 Look out for the wonderful early version of Woza Friday from the two original members of Juluka, Johnny and SIpho. 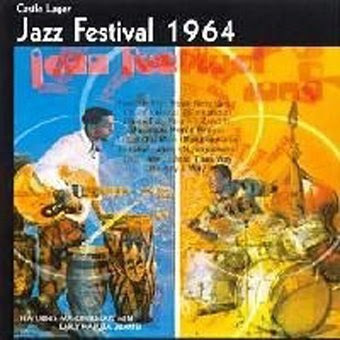 Next time I'll return with another interesting find...The Mankunku Jazz Show recorded live at the "Y" in Orlando, Johannesburg in 1968. 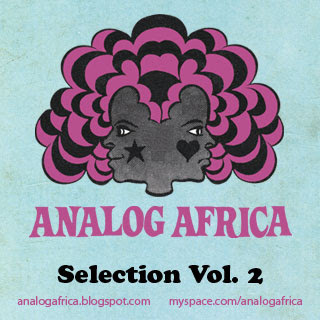 Volume 1 of the Analog Africa mixes can be downloaded here. 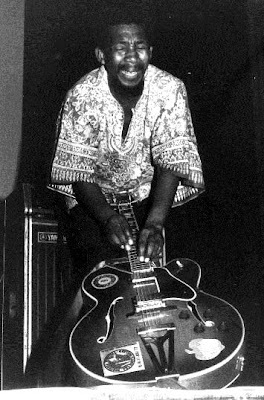 ROME (AFP) — South African singer Miriam Makeba has died aged 76 after being taken ill near the southern Italian town of Caserta following a concert, ANSA news agency reported Monday. She died overnight after taking part in a concert for Roberto Saviano, a writer threatened with death by the Mafia, the Italian agency said. 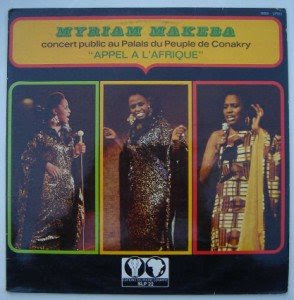 Miriam Makeba, known as "Mama Africa", was the legendary voice of the African continent who became a symbol of the fight against apartheid in her home country. She died just after having sung for half an hour for the young author of "Gomorrah" at Castel Volturno near Naples along with other singers and artistes. She was taken ill and was quickly taken to a clinic in Castel Volturno where she died of a heart attack, ANSA said. 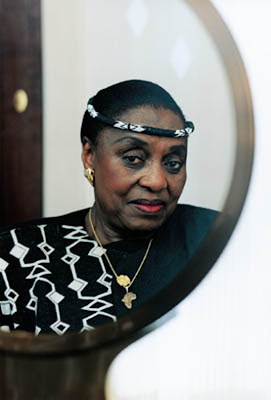 Miriam Makeba was born in Johannesburg on March 4, 1932. She made an international farewell tour in 2005. 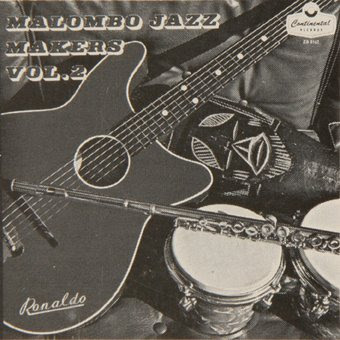 Born from a Swazi mother and Xhosa father, Makeba captured international attention as vocalist for the South African group, The Manhattan Brothers, while they toured the United States in 1959. The following year, when she wanted to return home to bury her mother, the apartheid state revoked her citizenship and later also banned her music. As a result she spent 31 years in exile, living in the United States and later in Guinea. She became the first black African woman to receive a Grammy Award which she shared with folk singer Harry Belafonte in 1965. 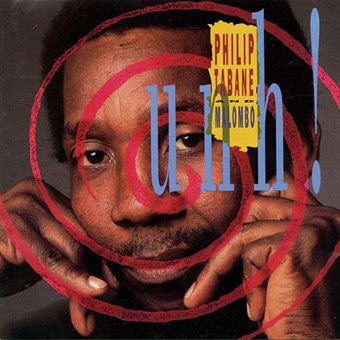 Two years later her fame sky-rocketed with the recording of the all-time hit "Pata Pata" (Xhosa for "touch, touch" describing a township dance) although she unknowingly signed away all royalties on the song. She hit an all-time low in 1985 when her only daughter, Bongi, died aged 36 from complications from a miscarriage. Makeba did not have money to buy a coffin for Bongi, and buried her alone barring a handful of journalists covering the funeral. But she picked herself up again, as she did many times before, like when her father died at a young age, or when she recovered from cervix cancer, or her many unhappy relationships, or unfounded rumours of alcoholism, according to her biography. 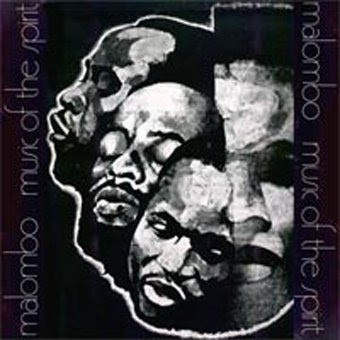 She returned to South Africa in the 1990s after Mandela was released from prison but it took a cash-strapped Makeba six years to find someone in the local recording industry to produce a record with her. She since released "Homeland" which contains a song describing her joy to be back home after the many years in exile in which she spoke out against apartheid and testified twice before the United Nations. 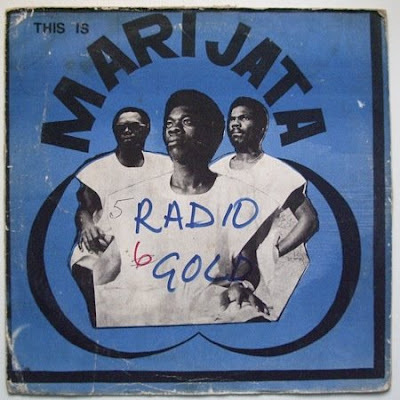 Shared with you today is my all-time favourite song from Miriam, Djuiginira available on the incomparable Sterns collection The Guinea Years. 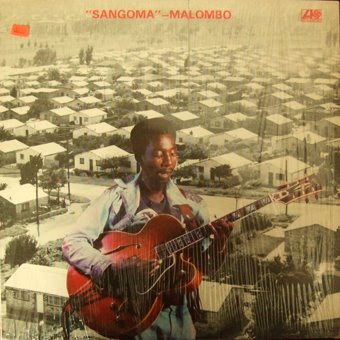 Its worth dropping by the worldserviceNL blog to pick up an unmixed copy of one of her best late period LPs Sangoma. 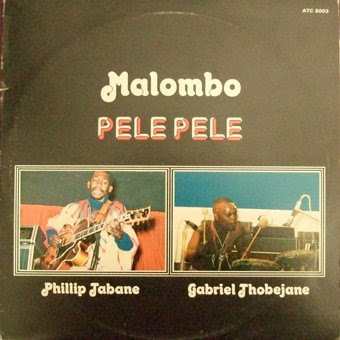 Also check out the LP Welele. 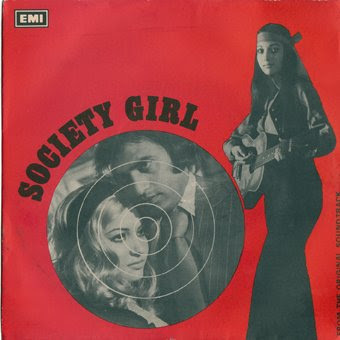 As for other recommendations I suggest checking out Country Girl and the African Convention LPs from the '70s. 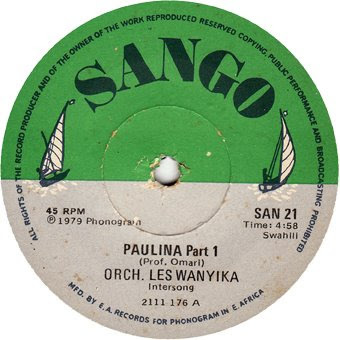 Just in case you need to get some original 45s - in the form of Pakistani soundtrack EPs, East African rumba or South African mbaqanga then you should head over to my current sales over at EBAY. This is a prelude to the on-line store I will be opening in partnership with fellow music explorer Chris.